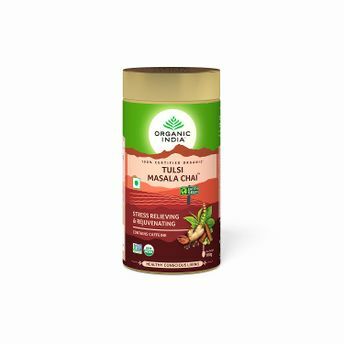 Tulsi Masala Chai is a wonderful combination of all time favourite blend of freshly ground spices (masala), premium Assam tea & the finest Tulsi with its unique anti stress, immune supportive and other health promoting qualities. Tulsi Masala Chai is an everyday encounter with the exotic. Less caffeine plus great taste and aroma makes Tulsi Masala Chai a growing preference over coffee.